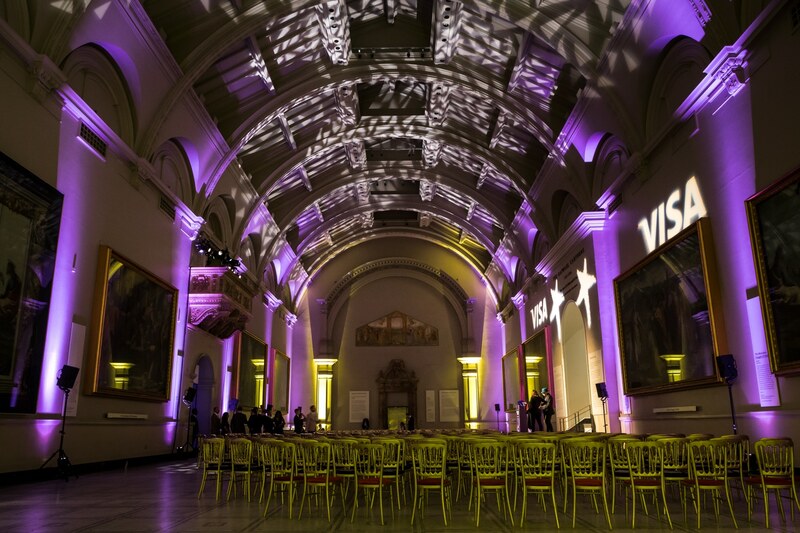 Thursday 5th November saw the 10th anniversary of the Stonewall Annual Awards, which took place at the Victoria and Albert Museum. Creventive produced the event for Stonewall, Britain’s lesbian, gay, bisexual and trans equality charity. 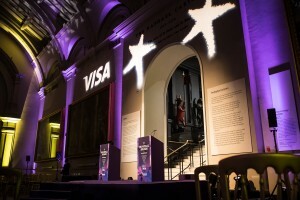 The evening was a chance for Stonewall and 500 guests to look back at the charity’s most outstanding achievements, as well as applauding the community’s role models and celebrating the contribution that individuals and organisations have made to the lives of the LGBT community in Britain and oversees. Light Motif were hired by renowned event planners Lexi Lea and Jason Collins-Down from Creventive to provide technical expertise and staging for the event. 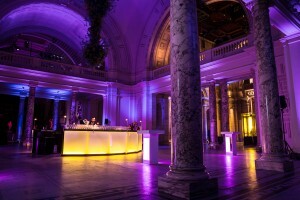 The Raphael Gallery was transformed with deep purple lighting, a star patterned gobo wash and moving lights. 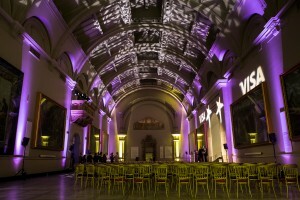 The focal point of the gallery was a geometric purple stage for the evening’s award presentations. Visa Europe was the headline sponsor of the evening. Hosting the event was Sir Ian McKellen, one of Britain’s most celebrated actors and an outspoken defender of equality. 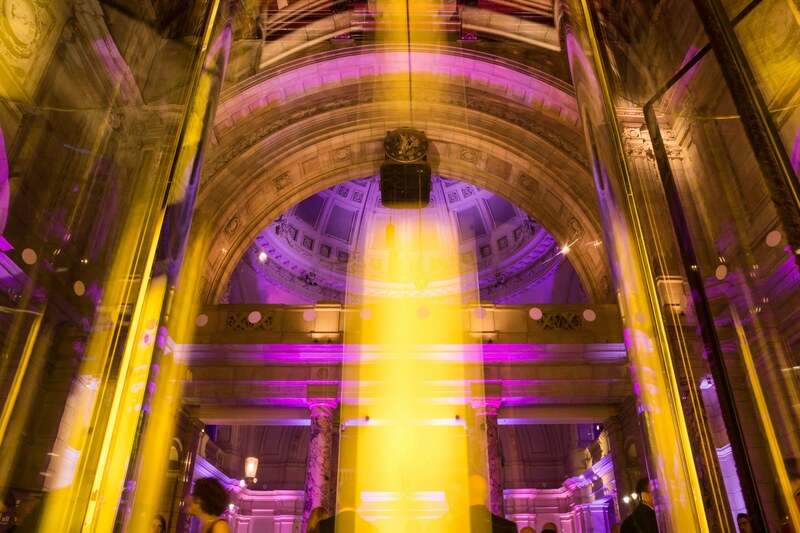 The Dome played home to purple uplighters illuminating the gallery’s impressive architecture, soaring ceilings and marble flooring. Yellow-lit poseur tables were interspersed throughout the room for guests to mingle around. A DJ spun tunes behind a Simply Bars by Light Motif DJ booth and Rocket Food provided catering at an enviable after party! Creative Director Jason Collins-Down commented, “ I needed a production company we could rely on as the charity is particularly close to my heart, and this event is a pinnacle in the LBGT calendar. With the short load in, it was essential we used a supplier that knows the museum and performs under stress. Light Motif were my first port of call and, as evident from tonight, act professionally and produce amazing results”.